Kasese town remains calm but unstable. The town in Uganda’s western Rwenzori region neighboring the Democratic Republic of Congo has been the scene of heavy fighting with gunshots heard everywhere following the weekend attacks on a tribal King’s Palace. A combined force of the Uganda People’s Defense Forces –UPDF, and Uganda Police stormed the Palace of the Rwenzururu Kingdom and arrested the tribal King Omusinga Charles Wesley Mumbere on Sunday. 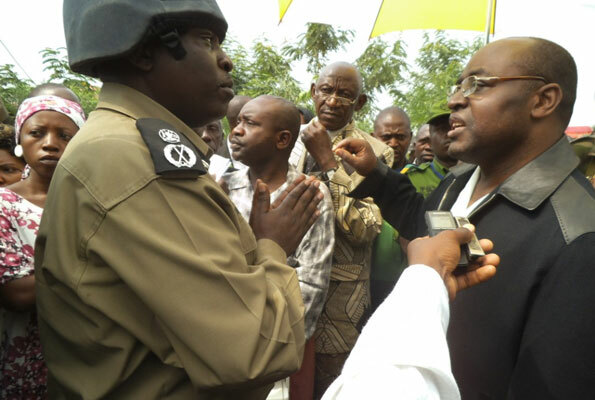 The Omusinga Charles Wesley Mumbere is accused of inciting violence in the area. “Mumbere has been arrested for inciting violence. He was given chance to talk to his people who were hiding in the palace and he did not comply. And this signified that he actually was behind all this criminal violence that is happening in Rwenzori. So he has been arrested and all his royal guards who were in the palace have been flushed out,” said Police spokesperson Andrew Felix Kaweesi. The Rwenzururu leader was detained at Nalufeenya police station in the Eastern district of Jinja. Uganda’s Internal Affairs Minister told the media in Kampala that “It is expected that His Highness will cooperate with the police and help in explaining his role in these criminal attacks,” but on Tuesday, the King of the Rwenzuru Kingdom Charles Wesley Mumbere was charged with murder and remanded to Prison until the 13th of December 2016. The Omusinga was arraigned in Jinja magistrate court and appeared before chief Magistrate John Francis Kaggwa who read him the charges. He was not allowed to take plea. Amid the violence forces recovered seven sub machine guns, pistols, ammunitions, machetes, spears, Improvised Explosive Devices-IEDs and 16 petrol bombs from the palace. 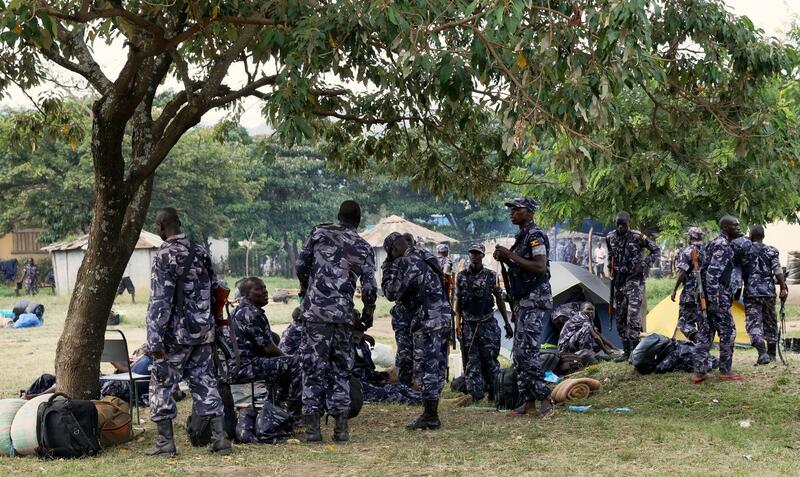 More than 80 people including royal guards were killed as the military took over the Palace in Kasese town. But this was not an easy task on the side of the military as the royal guards attempted in vain to stop the attack on the palace. 46 cultural guards lost their lives and 13 police officers were put out of action. 149 people, most of them royal guards, have been arrested in the violence that erupted over the weekend. The guards are said to have ambushed and torched a police patrol vehicle which had gone to reinforce the unit at Kiburara. According to Minister Jeje Odongo appropriate legal action will be taken on all those apprehended. 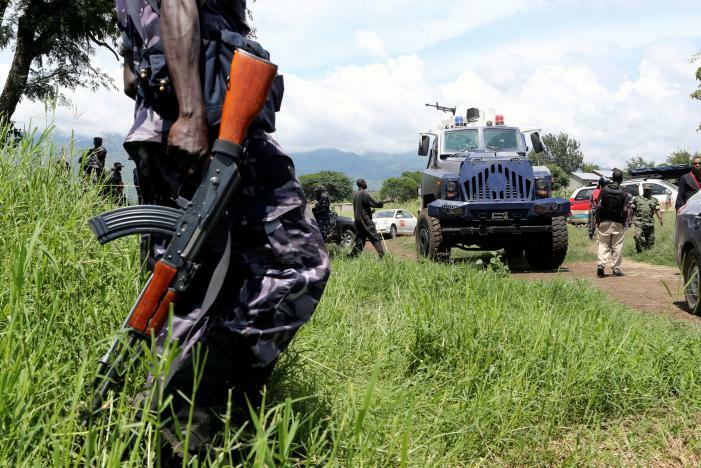 “Anybody who takes armed action to destabilize the security of Uganda will be dealt with in accordance with the law of the land,” Minister Odongo warned. Local leaders from the area including Members of Parliament have condemned the attack on the palace and the killing of people. Kasese municipality Member of Parliament Robert Centenary said they will take legal action against perpetrators of what he termed as crimes against humanity. “People have locked themselves in a room, and you go inside and shoot at them, you kill them. What kind of behavior is that? Whoever commanded and participated in that criminal act is going to take personal responsibility for that crime against humanity. They are not going to go away with impunity” he said. Atkins Katusabe, the Bukonzo West legislator, said he was at the Palace at the time it was attacked, trying to plead with the Commander of the Defense Forces-CDF to get them trucks to take away the royal guards who had agreed to surrender. “I called the CDF and told him I was with the King. We agreed and prepared everybody in the palace, the royal guards and (were) ready to exit. Can you send us a truck so that we have a safe passage for these royal guards. We were forced out, and then what followed was just massacring, killing innocent lives, they were just waiting for the trucks not ready for war” he explained. Geoffrey Bigogo Thembo, the Kasese Chairperson LCV, said the town remains abandoned with most shops and schools still closed. Just a few shops have opened. Mr. Thembo believes the attacks are payback for the loss suffered by the ruling NRM party in the election. “Kasese has six opposition Forum for Democratic Change MPs and chairman LCV, with most of the local leaders in Kasese from the FDC. Somehow the NRM party, instead (of) looking for reasons why the people of Kasese could have rejected them, put it on the Omusinga (King) and promised that they should deal with him,” he said. He encouraged the people of Kasese to remain calm following the arrest of the King, adding that this is a ploy to finish off the kingdom. The Government needs to come clean as to how many people were killed, how many were arrested and how they are being treated. There are reports that the ongoing unrest and violence in the region is because of the need for the Rwenzururu people to break away from Uganda to form a new republic; Yiira Republic. But leaders have dismissed this as false and baseless. They say the talk about secession is justification for a wrong that has been done to the community. “The Omusinga categorically made it clear that he does not have any intention of fighting for a state within a state. The office of the Obusinga that was attacked first to spark off this situation we are in now bares the Uganda flag and the East African Flag. I don’t know how somebody who would be fighting for a separate state would still maintain a Uganda flag and East African flag on their office” said the area chairperson. 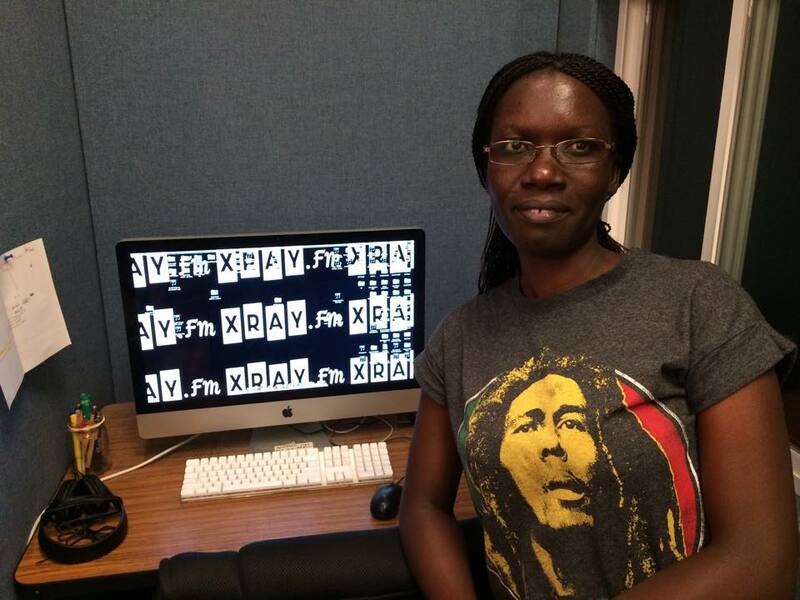 The killings in Kasese have drawn widespread condemnation from human rights defenders. The Foundation for Human Rights Initiative-FHRI condemned the arbitrary killings in Kasese and called for a timely investigation and prosecution of the perpetrators without bias. Dr. Livingstone Ssewanyana, the Executive Director of the foundation, asked the government to address the underlying causes of the unrest, such as marginalization, poverty and impunity, as well as access to land. “All parties involved must restrain themselves from actions of violence because the future they all desire will not be built by bloodshed and lawlessness but by genuine efforts at peace. Parties must at this stage therefore commit to resolving the conflict nonviolently, while protecting human lives and property” said Dr. Sewanyana.